Amazon owns Whole Foods and is busy cutting prices. Walmart is stepping up its supermarket game. The German discounters Aldi and Lidi are expanding in America. Competition in the grocery business is intense. And it's putting pressure on Kroger to fight back. Kroger (KR) stock rose almost 3% on Thursday after The New York Post and Reuters both reported that it has talked to China's Alibaba (BABA) about working together. The reports stopped short of saying that Alibaba could buy Kroger, which also owns the regional grocery stores Ralphs, Fry's and Harris Teeter. But investors are clearly hoping that a deal is in the works. Kroger had no comment. An Alibaba spokesman told CNNMoney that Alibaba has had conversations with Kroger. But he said those talks were about how Alibaba could boost Kroger's presence in China -- not the other way around. 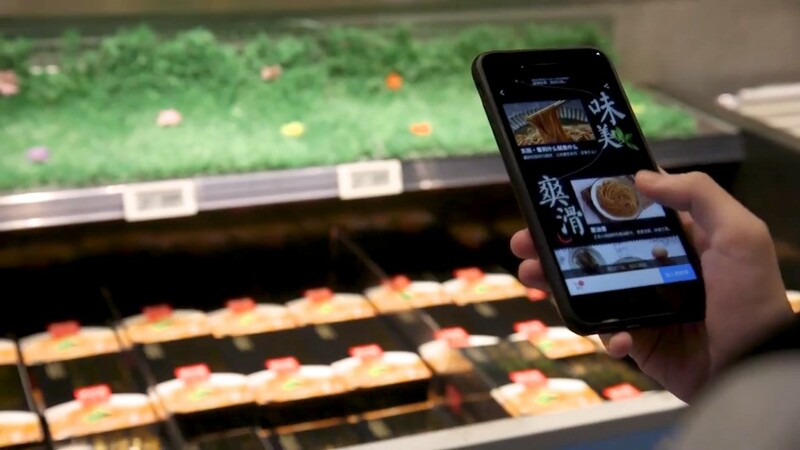 "Alibaba has dialogue with hundreds of businesses around the world everyday about expanding commercial relationships and reaching Chinese consumers, and Kroger is an example of just that," said the spokesman. Alibaba is growing rapidly, and it already has a presence in the United States -- several data centers for its cloud computing business. But it doesn't seem to have any intention of opening stores in America. It has focused its brick-and-mortar efforts on its home market of China, scooping up a 36% stake in Sun Art, a big box retailer similar to Walmart, for nearly $3 billion last year. Alibaba also owns the Chinese supermarket chain Hema. But that hasn't stopped people from speculating about why a Kroger-Alibaba deal could make sense. "The value to consumers in the United States is that it would break the duopoly of Walmart and Amazon," said Brittain Ladd, a retail and supply chain consultant. "Alibaba/Kroger would give consumers additional choices. In addition, Alibaba would drive down consumer prices," Ladd added. He first predicted that a Kroger-Alibaba deal could happen in a LinkedIn post just after Amazon bought Whole Foods. So you can hardly blame Kroger investors for dreaming big. The concerns about increased competition in the grocery business are legitimate. And that competition is only going to get tougher. Amazon (AMZN) just opened a grocery store called Amazon Go in Seattle that has no checkout lines. The store tracks what shoppers put in their carts and charges them after they leave. And Walmart (WMT) has a program that will not just deliver to your house but put your groceries away, entering with a smart lock and a one-time code. Walmart also acquired the same-day delivery startup Parcel last year. But Kroger has fought back. In October, it unveiled a plan called Restock Kroger that focuses on even lower prices, more private-label brands and an increase in its digital shopping initiatives. Kroger's ClickList service, which lets customers shop online for home delivery or curbside pickup at the store, helped the company report surprisingly strong sales last November. Kroger has increased its organic offerings through its Simple Truth brand. Sales hit $2 billion in 2017. And last year Kroger rolled out Prep+Pared Meal Kits, a move to compete with Blue Apron (APRN), HelloFresh and Plated, which was bought by the supermarket chain Albertsons last year. But competition isn't the only problem. The prices of many agricultural commodities have slid in the past year, leading to worries that Kroger will have to cut food prices even further. That's one of the main reasons Kroger stock has missed out on the market's record run. Shares have fallen more than 10% in the past year.